The Themed Scrapbook Idea Blog page is a fun way for you to receive a regular scrapbook idea, tip, anecdote or product review to add to your knowledge 'stash' - and hopefully brighten up your day! To subscribe to the RSS feed for the Themed Scrapbook Idea blog, simply click on that orange button. 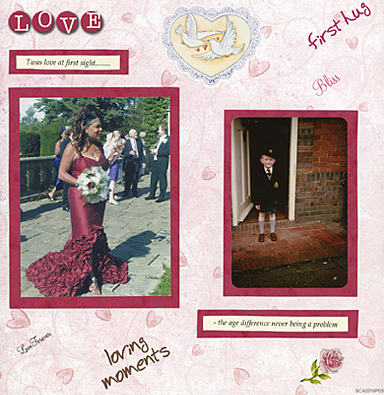 There are just oodles of baby scrapbook layout ideas out there, so indulge yourself with your designs. 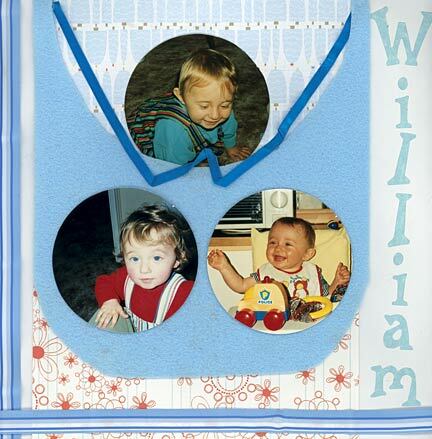 As far as baby scrapbook layout ideas are concerned - the frilly mittens are off! 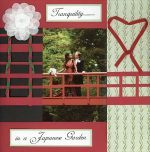 Continue reading "Baby scrapbook layout ideas"
Continue reading "Magazine Scrapbooking Selection"
Continue reading "Wedding scrapbook layouts"
Continue reading "Wedding Scrapbook Ideas"